Size ranges from 8 to 10 meters. 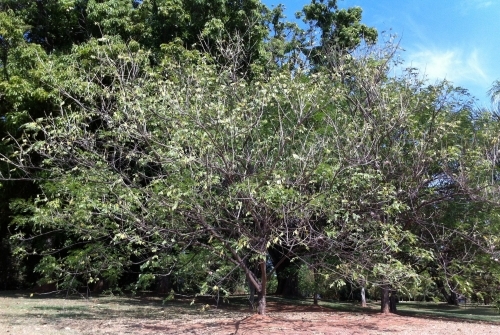 Deciduous tree, trunk with pale brown, smooth, bark with numerous branches, forming rounded crown. 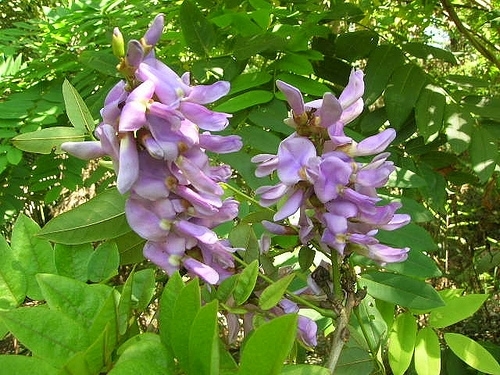 Influorescências in short racemes arranged along the branches with blue-purple flowers with yellow stain. The fruits are woody pods. It flowers from July to novembro.A ornamental tree contains attributes that recommend for landscape use and is suitable for planting isolated or in groups in parks, gardens and squares. It is also occasionally used in urban landscaping.